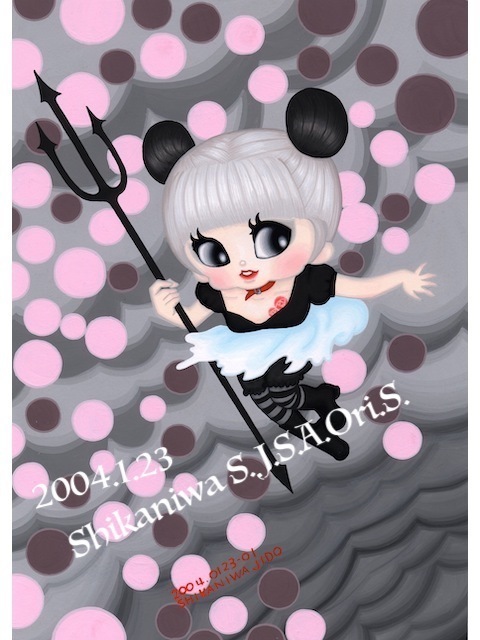 2004.01.23 “PanDevil girl”Original : 297x210mm, Acrylic-paintings on paper. 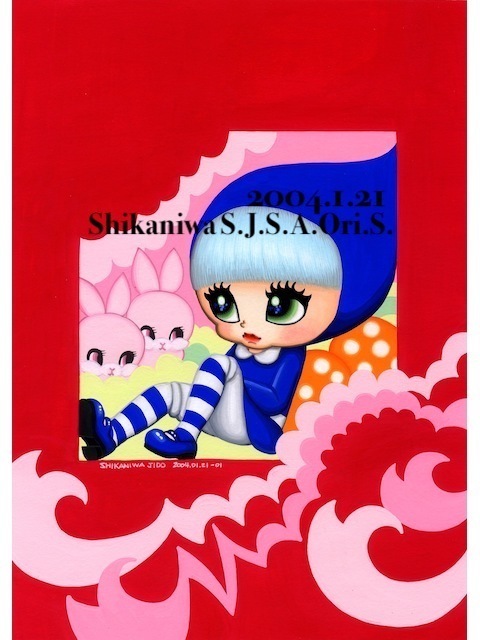 2004.01.21 “ Forest Dwarf ”Original : 257x182mm, Acrylic-paintings on paper. 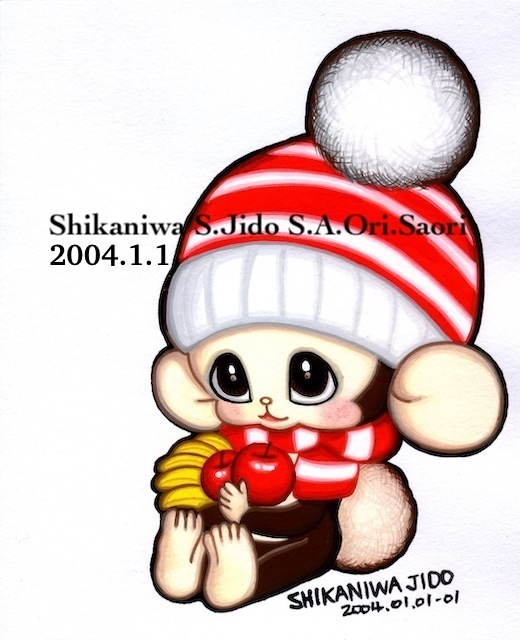 2004.01.01 “ HAPPY MONKEY! ”Original : 150x125mm, Acrylic-paintings on paper.